Learn the secrets to owning a property on Grand Cayman. Most people reading this would be shocked to find the value of a Grand Cayman rental property. Cayman properties are some of the most coveted real estate opportunities on the planet, and you can own a piece of that grandeur if you follow these tips. It seems rather obvious, but travel to the island with the purpose of shopping for a home. This is different from travelling to vacation. You become aware of where important buildings are, and where most infrastructure is. For retired couples who want a place to relax and settle down, moving inland is a great way to save money while catching the Grand Cayman vibe. We tend to get caught up in the idea that owning property means we own a residential home. That’s an outdated concept for retired and semi-retired couples moving to Grand Cayman. Grand Cayman condo rentals present a tremendous value to those who want to live or stay on the islands. If you buy only the size you need, you’ll save on the purchase price and have more money to travel or live the life you want. Once you’re retired, self-employed or telecommute, you can work from anywhere on the planet. 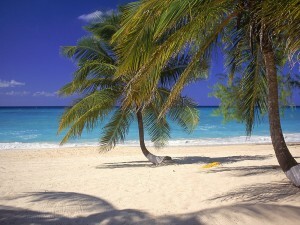 Grand Cayman is gorgeous, but you can travel if you utilize Cayman commercial property management. They specialize in residential rentals, including rental agreements and handling of upgrades and routine maintenance. Leave your home in safe hands.